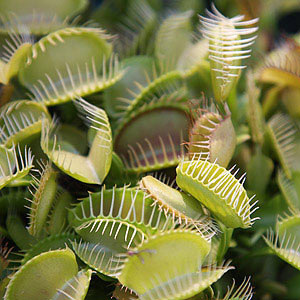 The wonderful Venus Fly Trap is one of the easiest carnivorous plants to grow, easy care and an excellent way to introduce children to the world of plants. One of the more interesting carnivorous plants the mechanism of the Venus Fly Trap is very visible which adds to the attraction. 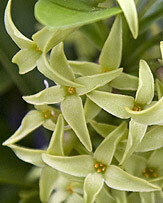 Although these plants are native to sub tropical areas they do grow well in cultivation and make an excellent houseplant. Plant is a mix of sphagnum moss and sharp sand or perlite, these plants do not need the nutrients of many of the enhanced products and do not require fertiliser. Clean water is essential, do not use tap water that has been treated, rainwater is by far the best. These plants do like moisture but do not like to be water logged. Bright light is important and this generally brings warmth, however unsure that the roots and base of the plant are in a container that remains cool. Good direct sunlight is best with 5 hours a day being ideal and another 6 hours of good filtered light, indoors you will need a sunny position near a window, or strong artificial light. Watering is the next factor, the Venus Fly Trap requires moisture at all times, it does not really like to be waterlogged, however it does not like to dry out either. Many growers use a mix of sphagnum moss and perlite to provide the combination of moisture and drainage. These are a plant that does not require fertilizer, they obtain nutrients from the insects they catch and really need live small insects and nothing else. When watering try to use rainwater, good clean water is essential. In winter plants will die back to a small section, this is normal. You do need to ensure that the plants are not subject to freezing temperatures as this can easily kill them.